Technically it's perfectly fine to have the ship hull in fancy coat of paintwork. But having some designs which hardly anyone can figure out or appreciate, is a "sad disaster" indeed. 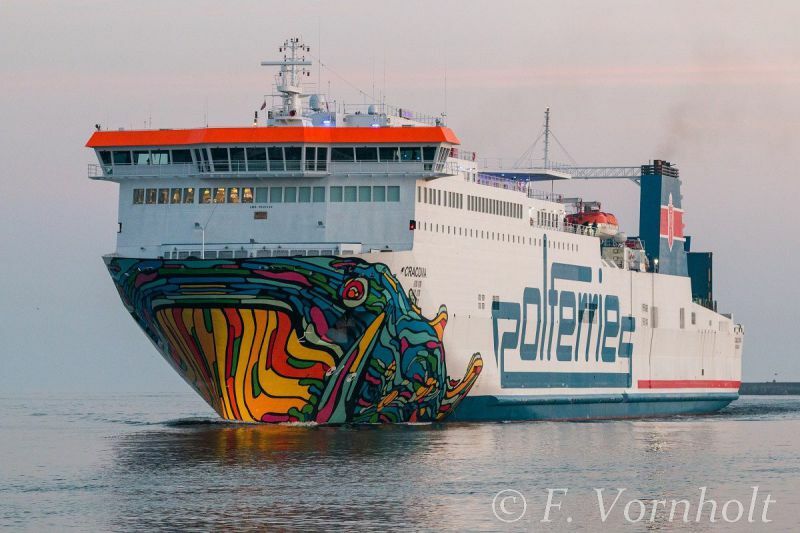 I like the "graffiti" job but I think that it's not consistent with the design of the rest of the ship. If you want to go avant-garde, it's ok, but please, go avant-garde all the way. Looks like a graffiti gang has attacked it, at least it gives us shipspotters something different to photograph over plain white hull ship. someone must've been eating some weird stuff while on rough seas. What would good old Murillo say to this "bowart"?? "Cracovia" was bearing his nam in her former life with Trasmed. I always liked her, both in and outside, compared with some of her fleetmates and travelled several times on her. This photo has been shown 1,255 times since it was added to the site.